Summerfest opens Memorial Day weekend. 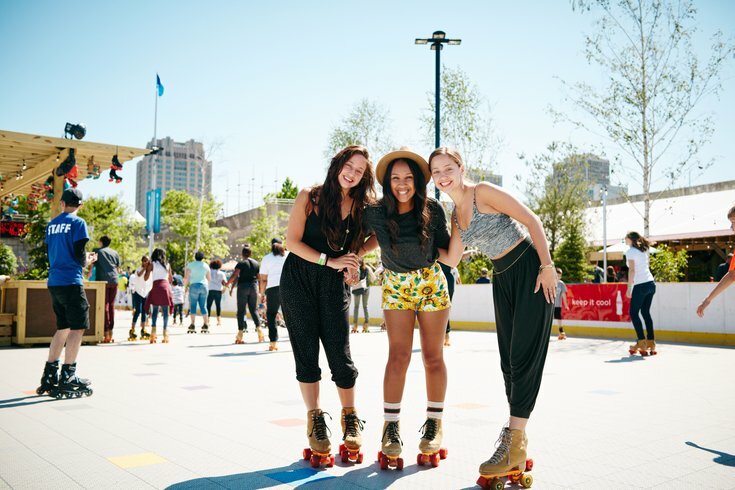 Many Philadelphians head to the Jersey Shore for Memorial Day weekend, but that doesn't mean Philly is lacking in holiday weekend fun. There are plenty of opportunities to enjoy the warm weather outdoors or try something new over the long weekend. Below are festivals, beer gardens, exhibit openings, concerts and more activities to enjoy Friday, May 26, through Monday, May 29. Chickie's and Pete's seafood feast. Summerfest will return for its third season Memorial Day weekend. The Delaware River waterfront hot spot features an outdoor roller rink, a mini-golf course, lounge chairs and tables with umbrellas. Opening day will be Friday, May 26. New this year, there will be outdoor bowling and boardwalk-style carnival rides. To celebrate, on-site eatery Chickie’s and Pete’s Waterfront Crabshack will be giving away free fries from 5-6 p.m. on the opening date. 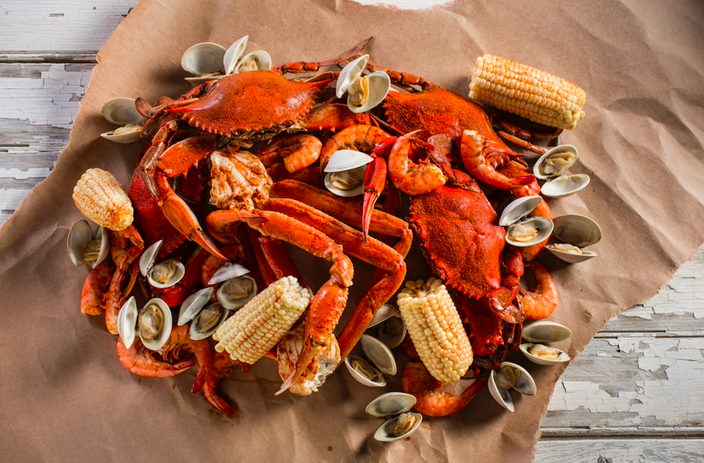 The Crabshack also serves wings, cheesesteaks and many seafood options (plus, there's air conditioning). Other food & drink includes ice cream and milkshakes from Franklin Fountain and a variety of local beers and summer cocktails at Summerfest bars. On Friday, May 26, there will be a pop-up beer garden at Cira Green. Located 95 feet above street level, the outdoor green space in University City offers sweeping views of the Philly skyline. Catch a comedy show for cheap over Memorial Day weekend. Good Good Comedy's Five Dollar Comedy Week will run from Sunday, May 21, through Saturday, May 27. During the week, 30 unique shows that span all forms of comedy will debut. 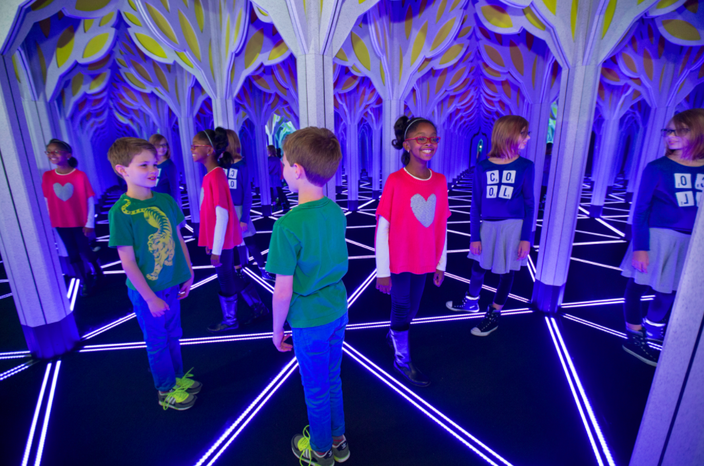 Kids play in a mirror maze. The Franklin Institute will open a new exhibit on Saturday, May 27. "Mirror Maze: Numbers in Nation" will feature interactive elements and immersive experiences, including a 1,700-square-foot maze with floor-to-ceiling mirrors. The Philly POPS will perform a Memorial Day weekend concert this year at The Mann Center for the Performing Arts. Tickets are free with online registration. Popular outdoor art program Inside Out returns to the Philadelphia region this summer. Residents of (or visitors to) East Passyunk, Manayunk and Media can enjoy art outdoors through the summer. 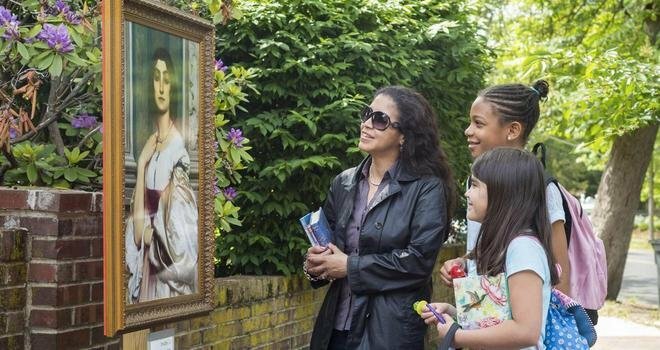 High-quality reproductions of Philadelphia Museum of Art masterpieces will be displayed on sidewalks and storefronts. Outdoor installations will also be set up across the bridge in Haddonfield, New Jersey. All pieces of art will be placed within walking or biking distance of each other in the neighborhoods. Three friends enjoy drinks at the Azalea Garden Parks on Tap, Wednesday, May 17, 2017. 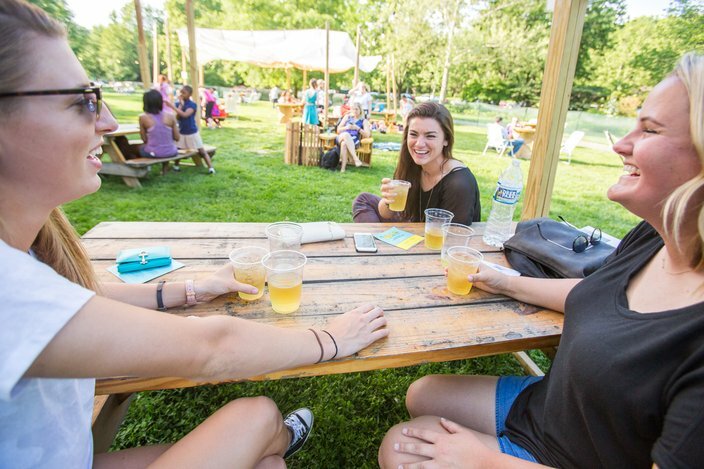 Parks on Tap will set up at FDR Park over Memorial Day weekend. Grab a beer, a glass of wine or a snack and relax in one of the lawn chairs or hammocks. Hall & Oates are hosting a hoagie-themed music festival at Festival Pier on Saturday, May 27. Attendees can eat, drink and enjoy live music. 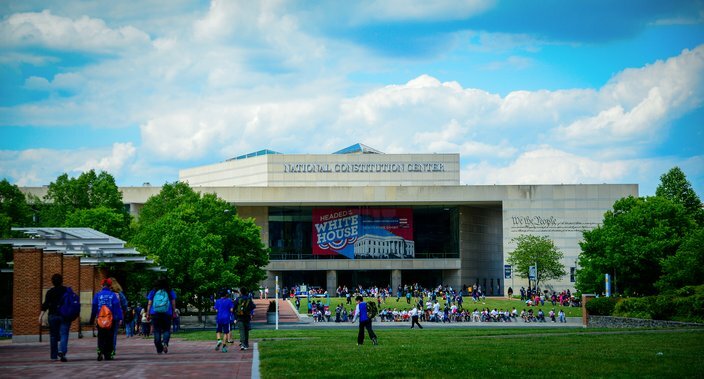 The National Constitution Center will throw a Memorial Day weekend celebration starting on Saturday, May 27. There will be flag ceremonies, shows, discussions, a flag folding workshop, arts & crafts, 18th century games, an opportunity to make cards thanking veterans and other family-friendly activities. A new event for 2017 will take place on Sunday, May 28. The Spirit of Philadelphia will open a pop-up beer garden for the 21-plus crowd on the rooftop of the docked boat from 2:30-5:30 p.m. There will be a cash bar, lawn games, complimentary bites and music. Delaware River waterfront spots will offer deals during the day, too. At night, there will be fireworks over the river at 9:30 p.m. that can be watched for free from Penn's Landing. All will gather at the resting place of General George Gordon Meade, hero of the Battle of Gettysburg, to perform a traditional service honoring all veterans who fell defending the nation. Wreath-laying, speeches and honor guards will enhance the ceremony. Complimentary beer and refreshments will be served after the service.